Great Buy!! I've received this magazine before and it's always full of fun and sometimes seasonal ideas for things to do with your kids, or projects you can have them do. At this price I might have to jump in and get a subscription myself. I like Cellfire because you don't have to carry them with you to the store, they are "mindless" coupons. Sign up for them and they are electronically added to your store card. You don't have to think about them at all until you go sign up for new ones. Save $0.55 when you purchase any (1) variety of Nestle® Toll House® Refrigerated Cookie Dough. Save $.50 when you buy TWO packages of Pillsbury® Rolled Refrigerated Pie Crusts. Save $.50 when you buy TWO any variety Green Giant® Frozen Boxed Vegetables. Save $.50 on TWO BOXES Betty Crocker® Fruit by the Foot®, Fruit Gushers®, Fruit Roll-Ups® OR Fruit Roll-Ups® Fruit Stickerz® Fruit Flavored Snacks. Save $.40 when you buy ONE BOX any flavor/variety Nature Valley® Granola Bars. Save $.55 when you buy Original Cheerios® cereal (the one in the yellow box). Save $.55 when you buy Trix® cereal. Save $.40 when you buy ONE BOX any variety Betty Crocker® Fruit Flavored Shapes. Save $.50 when you buy ONE any variety Progresso® Broth. The coupons available to you will vary depending on the stores in your area. To get started or to add coupons to your account/cards, use the Cellfire link to the left. Make the Cut is a computer program that allows you to cut lots of images on the Cricut, & not just from Cricut cartridges either. It is made so that you can import many different types of images and break them apart to be cut by the Cricut. You can build layers, weld images, break images apart, rotate them, etc. I will be trying the software soon and will let you know my results. I'm loving the idea of being able to cut my own images without the fuss of yet another program.... if you have any version of SCAL you have to break apart/set up images in Inkscape or another program and save them as an SVG before moving them into SCAL. It's also great that your image availability is basically unlimited with this program. No more buying expensive cartridges unless there is one you think you just have to have. You can use many of the free fonts you find online as well... many of which include images as well. I'm posting about this again because I'm a new Cricut owner and I'm looking for ways to make my investment even more affordable and fun. When I bought my Cricut (on Black Friday I might add... lol) I knew that SCAL existed and was considering purchasing that instead of cartridges to make the most of my money. I hadn't yet purchased it with the holidays coming up. My friend Jill told me about Make the Cut and I'm glad she did! I think it's going to give SCAL a run for it's money and I'm excited about it. I will have to mention too that I sent an email to the owner of the site and got a response very quickly! It is a new program, but I feel safe that the developer is truly making a go of this. He has a small message board on the site page for questions, concerns, etc and is quick about responding to people there and is making changes in the program per peoples requests. I asked about updates to the program and was told via email that updates will always be free!! He believes all software is a work in progress and doesn't think you should have to pay for the same idea twice.... Love it! There is currently a discount on the program since it is new and just getting started. They are asking $77.97 for the program, but retail price is noted as $129.95. There is currently a discount code available for the program that gets you 10% off. It is good through 1/1/10... so get in quick if you think you might want it. If the program goes as well as I think it might, he could easily raise the price once he gets all the final tweaking done! If you want to try the trial version first... you can find it here. that don't have to be "winter"or "Christmas" related. many items you could use as gifts (or yourself) anytime of the year. If you're a new customer to Snapfish, get 20 free prints just for getting started. Get a free trial pack of o.b. tampons if you make your request while their supplies last. The little case holds 3 and is nice and small. Restaurant.com 80% off ... Plus Bonus! December 31st giving you 80% off!! Plus... Get a free $10 gift certificate! Use code: CHEERS at checkout. I've been contemplating the purchase of SCAL (Sure Cuts Alot) for my new Cricut for a few weeks. I was actually prepared to purchase it, but with Christmas coming up didn't have the time to invest in playing with it right now and thought I might be frustrated with having another addition to my new toy that I didn't have time for. The Cricut is basically a printer that cuts. You have to purchase cartridges that allow you to cut different shapes/fonts to use with scrapbooking/craft projects. These programs I'm talking about make it possible to use fonts and images that are not on cartridges, and even make your own which in the long run saves money if you use your Cricut much at all as the cartridges are very costly!! On with the story... a new program! 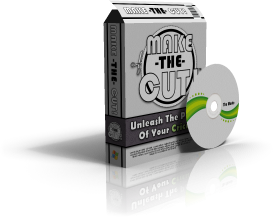 My dear friend Jill alerted me that there is a new similar program available now called Make-the-Cut. There have been some discussions about it on a message board, but it keeps being shut down and I was unfortunate to not have been able to read it. The Makes-the-Cut program is possibly a bit more user friendly for those that want to use an image on their cricut that is not already in the right format (SVG). This makes it easier to turn your school or business logos, etc into an image that is quickly and easily cut on the Cricut. To do the same thing with SCAL you would have to import the image into another program such as Inkscape and convert it into an SVG image before you could load it into SCAL and cut it. This seems to me the main advantage to Makes-the-Cut. SCAL (Sure Cuts Alot), on the other hand, has been around for awhile and has had time to get many of the bugs worked out. It also appears to have possibly a few more features that Makes-the-Cut does not. I have not had the opportunity to try either of these programs and would like to hear your opinions about them. If you've used them and had good/bad experiences... leave a comment and let us know what you like or don't like about them. Haven't heard of either one? You can find them below. Each has a trial you can use that will work same as the regular program, but will cut a line through the project rendering it unusable (thier watermark). I may find myself trying each one with the trial before making my decision & I will try and post about them when I do to let you know what I like/dislike about each one. If you have a Mac... SCAL is your only option right now unless you're running a program to make it compatable with Windows... like mine :). Make-the-Cut doens't yet have Mac version. More Amazon Deals... w/ Updates!! was $29.99.... now only $8.99!! 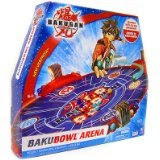 Many more good toy deals are here ... these are all on sale. You can also get free shipping with all of these items using either Super Saver Shipping, or the Free Trial of Amazon Prime. You can find my post on how to get the Free Trial of Amazon Prime, or Amazon's page about these shipping programs here. Sign up for PayPhrase.... I just did! Why not take some cash back on your Amazon purchases. It's easy and free. They don't ask you for any credit card info, etc.... it's simply a shortcut to help cut your shopping cart time down that pays you for using it. Count me in! You can find the details here. I will update this page as I find more good buys at Amazon. They are all over the site, but I focused on toys this morning as that is what most people are in need of this time of the year. Find another great deal you'd like to share? Let me know... I'd be happy to consider posting it here, and if you have a blog/website I'll linky back if I use your information. 6pm: Great Deals Today only! A site I've just recently discovered is 6pm & I'm loving them already. 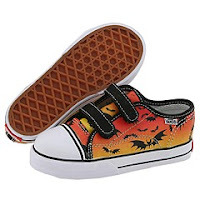 They sell shoes, apparel, and accessories, and always seem to have great promos going on on their main page. I ordered some nice flip flops for Hubby for next summer (he doesn't like the popular Old Navy ones) and they arrived quickly and he loves them. They were actually nicer than the image online and I paid a lot less than I was expecting to... a guy he works with had given him a pair that he couldn't wear and he loved them. I didn't love the price when I started looking for them! Anyway.... enough about me. 6pm has some great buys today that might be worth checking into yet even for Christmas gifts. Deer Stags Footwear -Slippers $9.95 Today Only! Also get 60% off select snow boards and outerwear. Use Bill Me Later and get $10 off a $75 order. 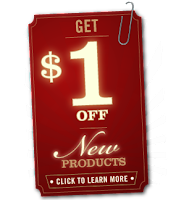 Get $1 off Single Serve Variety pack and 14 Serving Pouch here. I've gotten several coupons recently at my Meijer checkout for $1 off any Idohoan product. These make the single serving packs something like $.13 if you happen to get one. Use code PXCJ1220 to get an extra 15% off! Use Ebates to get 10% back for an added bonus on this deal! December 14th giving you 80% off!! Use code: SHARE at checkout. 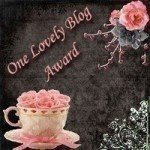 Reader Beware.... Long but important post! Last week I had a wake-up call!! It was early morning for me 5:something a.m. and being a night person like I am.... wow, some start to the day! Let me tell you... it wasn't fun, but even so... it made me think. Hubby leaves for work shortly before 6:00 a.m. to get to work. He must have just stepped foot out the door when a loud blaring alarm went off. Being asleep as I was, I startled and jumped to my feet to find the alarm in the dining room, just on the other side of the wall from my head! going off. We have two alarms in that room because it is the central room of the house, and because we have a woodstove in it. After a moment I realized it was the carbon monoxide/gas detector going off. We have one that states the level in that room and it showed at 70... what most go off at. After a few moments the level decreased and it stopped screaming. Because it went back down so quickly I decided to stay awake and keep an eye on it. I checked the little guy and the dog, both were fine. What to do? What caused it? It wasn't long until the little guy and I had to leave for his preschool and the alarm still showed zero. No one with any signs/symptoms of carbon monoxide poisoning, so off to school we went. I bought another detector while I was in town and set it up. Hubby ended up borrowing one from my parents too to put in the basement by the water heater and furnace to check for any problems there. All is well. We have yet to figure out why the alarm sounded. Thought maybe a backdraft from the woodstove but there was no smoke in the room. After reading the manual, we learned that the alarm that I heard wasn't what was supposed to sound when it detected carbon monoxide or gas. I wonder if for some reason the power was interuppted causing it to alarm (the unit plugs in)... I put a new backup battert in it just in case that was the culprit. The early morning interruption of sleep reminded me of how easily something can happen to threaten your family's health or even their life. Something as simple as carbon monoxide & smoke detectors can prevent the unthinkable. They are simply invaluable tools! This time of the year is really a concern as people are turning on their heat sources... which often haven't been checked like they should. The sorry thing is... sometimes the heating/cooling guys don't have the proper tools/training in carbon monoxide either. smoke & carbon monoxide detectors are in working order. I like love that we have one with a digital reading so we can always look to see if it's monitored anything even without causing an alarm. If you have gas appliances, you may consider the one that detects gas as well. Whether you buy them in your local store, or online... get enough to protect your home and don't short yourself to save a few bucks. They could save your life... or more importantly, your family's lives! Don't say you'll do it tomorrow either... it's too important! With that all said... I did look at Amazon to see what their prices are. I assume because of the time of year, they are having some sales. Might be worth looking into if you need a few. Carbon Monoxide Detectors-some are combo units that detect carb.monoxide/gas or carb. monoxide/smoke. If you need both in a room it might be cost effective to purchase one that combines two functions. Smoke Detectors- there are different kinds... do your research. Some info here under the "performance differences"
Gas Detectors - some are combo gas/carbon monoxide. Especially important if you have gas appliances in your home, but might be important if you live close to natural gas lines. I hope this post encourages you to take a look at your home's safety! I want everyone to have a save and happy home, and if it meant my abrupt wake-up event to encourage someone to check their home's equipment... I don't mind a bit, in fact (even though I really don't like mornings- unless I'm on vacation) I'd do it again! Being close to Christmas... the photo places are vamping up their deals trying to get your business. Here are a few of the good ones I've come across. Photos do make great gifts for family and friends... I know I always love the ones I get. My brother has a nice camera and takes some great pics... he usually gives some of his favs as gifts. Love the ones he gets of my little guy for me! Buy 1 Calendar, Get 1 Free! Plus ... Get A Bonus Free Flip Book! Runs till 12/24! As featured on Rachael Ray's Thanksgiving on Main Street show. Lots of ideas for photobooks too. Save up to 63% on pre-paid photo prints at Snapfish! These will change periodically. Thanks Snapfish for showing us where to find your deals.